Currently the NCAA requires schools to ensure that every student-athlete has insurance for sports-related injuries. The schools don’t necessarily pay for that insurance, however. The athlete’s or parents’ insurance often pays for these expenses, and the family often faces paying the deductibles and out-of-pocket medical costs themselves. In the rare circumstances in which an athlete’s claims reach $90,000, the NCAA’s catastrophic insurance plan covers these costs. 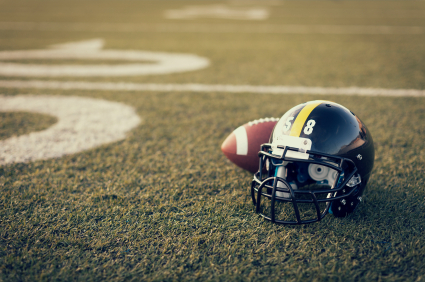 Once an athlete leaves college, the school is not generally required to pay for medical care related to those on-field injuries. 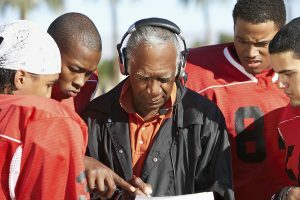 Since many athletic scholarships are renewable annually, a coach could revoke a player’s scholarship if he gets injured and isn’t felt to be healthy enough to play. This week, the PAC-12 Conference took the first steps to reform this model. In addition to guaranteeing four-year scholarships for athletes and easing transfers between schools, these changes would ensure that the medical expenses for athletes injured during their college playing days would be covered up to four years after they leave school. Is 6 months long enough to recover from football? The PAC-12 changes seem to be a huge victory for all college athletes, but it remains to be seen if athletes at schools outside of the power conferences receive these benefits. Look at the discrepancy in how big and small athletic departments handle their medical costs. According to The Birmingham News, the University of Alabama covers medical, dental, and rehabilitation expenses for its players injured during an official team activity. When Tyrone Prothro, the former Crimson Tide wide receiver who made one of the most famous catches in college football history, suffered a horrific tibia fracture and subsequent infection, the university paid the medical bills for his ten surgeries. Auburn instead pays all expenses not covered by a family’s medical insurance. If an athlete doesn’t have insurance, then Auburn puts him on its medical coverage. According to The Birmingham News, these plans weren’t cheap. In the 2010-11 academic year, Alabama paid $1.96 million for medical expenses and insurance. Auburn paid $852,477. On the other hand, the University of Maine doesn’t have an athletic department generating multi-million dollar revenues. The school requires its athletes to pay the first $10,000 in co-pays and deductibles, according to The Portland Press Herald. College athletic departments do provide medical services to which the average person – or even regular college student – wouldn’t have access. Team doctors are regularly available to the athletes for evaluation of injuries. Players also have regular access to athletic trainers for rehab, injury prevention, taping, and injury management. These services could cost thousands with private healthcare providers. Does the health of college athletes suffer later in life? Would slowing down college football offenses prevent injuries? The University of Maine paid $296,580 for salaries and benefits for the athletic trainers, $15,000 for physician coverage of its major sports, and $42,637 for supplies such as tape and braces in 2013. The debate over what universities should cover financially is further complicated by the designation of players as student-athletes and not employees. For example, if a football coach breaks his leg while standing on the sidelines as a player barrels into him, his immediate and long-term medical expenses would likely be paid completely by the school through a workers’ compensation plan, since the coach is an employee of the university. If a player on that same team breaks his leg during that same game, his personal insurance would likely have to pay. He would probably have to pay thousands of dollars on his own since he is a student-athlete and not an employee of the school. Hopefully another change will come from the PAC-12 reforms. Maybe we will see more transparency about schools’ handling of medical costs. Parents of high school athletes being recruited to play college sports need to ask what level of medical care and coverage the universities will provide. Does the school’s insurance pay for all medical costs? Does it pay for a second opinion? Does it cover care for long-term complications of an injury years after the athlete leaves school? These are issues that often arise, but I doubt many parents and athletes think about them until after an injury occurs. I expect these PAC-12 changes will eventually be adopted by all of the larger conferences. These large schools can afford to absorb the medical costs, either paying them completely or after the families’ insurance policies have paid. For smaller schools with much smaller athletic department budgets, we will have to wait and see if they can, or will, pay. How do you think universities should handle medical expenses for their athletes? Are you a college athlete or former college athlete? If so, have you dealt with medical expenses from an injury suffered playing sports? Share your thoughts below! Note: A modified version of this post appears as my sports medicine column in the October 30, 2014 issue of The Post and Courier.